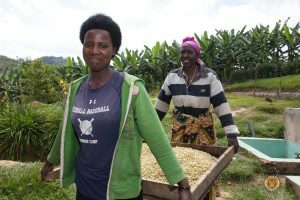 We’re very proud to once again be offering our Rwanda Hingakawa Women’s Coffee Coop specialty green coffee . This amazing group of female coffee producers claims the unique distinction of being part of the Abakundakawa-Rushashi Cooperative, Rwanda’s first ever 100% female coffee growing cooperative. Hingakawa translates to “Let’s Grow Coffee” and represents both an open embrace and a rally call to the Hutu and Tutsi women who comprise its membership to unite together in common cause. Years ago during Rwanda’s bloody civil war, many tragically lost their lives on these same hilltops where Hingakawa arabica now flourishes. With coffee helping the community as a cooperative move forward in a positive direction, members of this unique women’s coffee coop have found a way through peace and friendship to focus to strengthen their farmlands, improve their livelihoods and raise the overall quality of production. 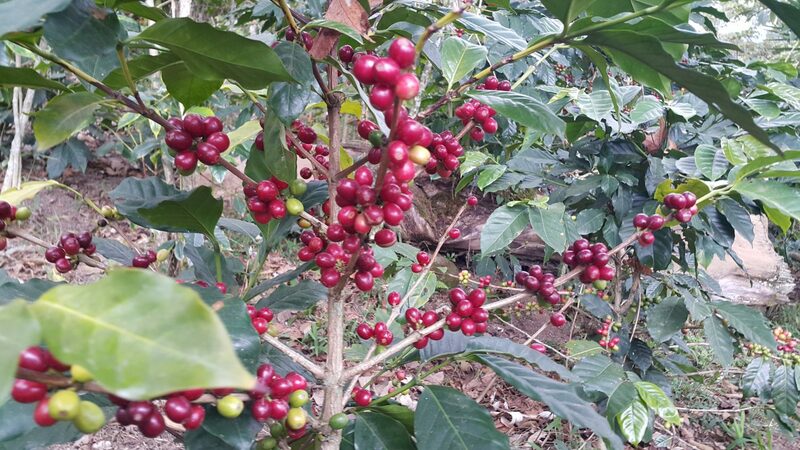 The Hingakawa Women’s Coffee Coop individual farms are spread across the northern mountainous region of Gakenke at 5,500 – 6,200 feet elevation across five separate zones, producing Grade A, 100% Bourbon, fully washed and sun-dried Rwanda coffee. This year’s crop cupped out quite nicely: this is a very clean, crisp and balanced cup. There is a medium to slightly-heavy acidity (though not as much as Kenya or Ethiopia) and notes of sweet orange lemony-citrus and a tiny hint of tobacco. We are very happy to have a stock of this for you to enjoy! 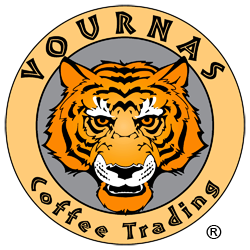 We offer a number of African coffees, both natural process and washed from the nations of Ethiopia, Kenya, Rwanda, Tanzania and Uganda. Our current African coffee offerings include our Rwanda Hingakawa Women’s Coffee Coop, our Ethiopia Harrar Gololcha Q, our Uganda A Mt. Elgon Kapchorwa and our Ethiopia Organic Guji.